Rawlins County Health Center is proud to provide physical therapy and rehabilitation services to Atwood and the surrounding communities. Whether you are recovering from surgery, had an accident, or need to improve range of motion through massage, the physical therapists at our health clinic are highly trained and experienced to work with a variety of patients in many different situations. We will be there to help you recover and offer our support throughout the entire process. 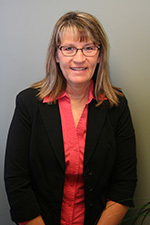 During Cheryl’s entire professional career, she has worked in the northwest Kansas area. 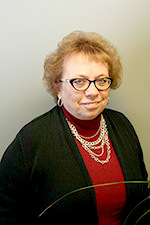 In 2011, Cheryl transitioned to full-time status at the Rawlins County Health Center. The majority of her career has been in a hospital setting. However, she has also worked in home health, nursing homes and a brief time in the school system. She began her career after graduating from the University of Kansas with a Bachelor of Science degree in physical therapy. In 2001, she made the decision to further her education through Creighton University. She completed her Doctor of Physical Therapy degree in 2006. Cheryl enjoys all aspects of physical therapy. She perceives every patient as a new challenge. It is her goal to provide the best care she possibly can to each individual that she has the privilege of working with. Emily is a graduate of the University of Tulsa where she received her Bachelors of Science Degree in Athletic Training with a Minor in Psychology. She received her Associate’s Degree in Physical Therapist Assistant from Colby Community College. Emily, a Rawlins County native, has enjoyed returning to her hometown to work with patients at Rawlins County Health Center. 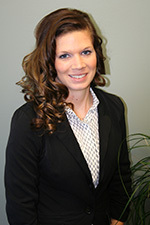 In addition to working at Rawlins County Health Center, Emily works with USD 105 as a certified Athletic Trainer. Emily loves working with the younger school kids as well as the older population. She is certified in Graston Technique, a newer type of manual therapy technique. Graston Technique can be used with many different injuries and surgeries, even including scars. Emily enjoys seeing patients progress through their rehabs and being able to return to their normal level of function. Brenda graduated with an Associate’s Degree in Physical Therapist Assistant from Colby Community College. Throughout her career, she has worked in many different settings to include: Home Health, Nursing Homes, and Hospitals both in Oberlin, Kansas and at Rawlins County Health Center. As a Physical Therapist Assistant, her greatest satisfaction comes from the positive results her patients show through Pelvic Floor Rehab services. Brenda also takes pride in helping patients gain range of motion and works to improve this in both upper and lower extremities. She enjoys working with all patients to include Inpatient, Swing-bed and those visiting Rawlins County Health Center’s Physical Therapy Department. 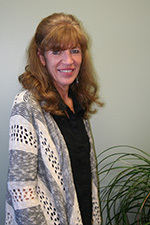 Linda received her Associate’s Degree in Physical Therapist Assistant from Colby Community College in 1993. She has been a Physical Therapist Assistant at the Rawlins County Health Center for 23 years. Linda has lived in the Rawlins County area all her life and enjoys treating people in this community and helping them regain a normal lifestyle. Linda is very patient and is great with manual physical therapy and soft tissue massages. Physical therapy is a profession that improves mobility, relieves pain and allows patients to participate in a recovery plan designed for their specific needs. 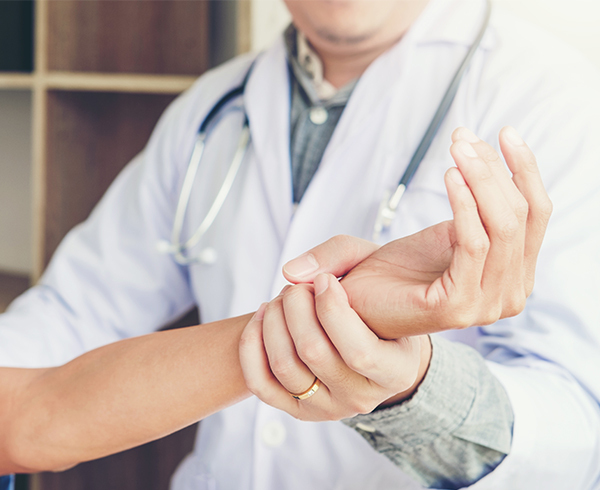 While surgery and prescription drugs can be the best course of treatment for certain diagnoses, there is increasing evidence demonstrating that conservative treatments like physical therapy can be equally effective for many conditions. Physical Therapists and Physical Therapist Assistants at Rawlins County Health Center work with patients who suffer from back pain, myofascial pain syndrome or pain in their joints. Physical therapy is beneficial for those who have had surgery for meniscus tears, ACL repairs and joint replacements including the hips, knees, and shoulders. Patients with loss of balance and vertigo (dizziness) also benefit from physical therapy. Rawlins County Health Center’s Physical Therapy Department offers Pelvic Floor Rehab. This program treats women with stress urinary incontinence, urge urinary incontinence, nocturnal enuresis, organ prolapse and pelvic pain. Modalities used in physical therapy at Rawlins County Health Center include biofeedback, electrical stimulation, ultrasound, light therapy, soft tissue oscillation, mechanical traction, iontophoresis, Biodex balance testing and training, application of Kinesio tape, paraffin wax, moist heat, cryotherapy, and Graston Technique. All staff members have received certification in performing manual therapy with Graston instruments. A variety of exercise equipment is available including a Matrix weight stack, Upper Body Exerciser (UBE), recumbent steppers, upright and recumbent bicycles, treadmills, upright elliptical, free weights and theraband. The physical therapy staff at Rawlins County Health Center works collaboratively with patients to design a treatment program that meets the patient’s individual goals, challenges, and needs. Receiving treatment by a physical therapist or physical therapy assistant is rarely a passive activity. Participating in one’s recovery can be empowering. In most cases an important aspect of one’s physical therapy treatment includes education. Patients learn in home exercise programs. The physical therapy staff will show patients ways to minimize pain, lessen strain, avoid re-injury and speed their recovery. The therapist might advise physical modifications to improve safety in the home. Patients can schedule appointments by directly calling the Rawlins County Health Center’s Physical Therapy Departments at 785-626-3211, extension 270. A referral from a provider is not required. The physical therapist can complete an evaluation and set up a Plan of Care. Rawlins County Health Center’s Physical Therapy Departments hours of operation are Monday through Friday from 7:00 a.m. to 5:00 p.m. with in-patients also being seen on weekends. Call today to set up an appointment. 785-626-3211, extension 270.ns.